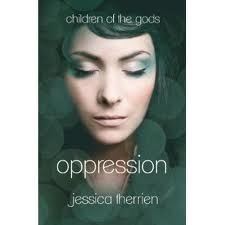 KidsEBookBestsellers.com: Oppression: Making a Big Impression! First, what's the story of Oppression? I found my publisher at the Southern California Writers Conference last year. They are a mid-sized publishing house out of Los Angeles. Yes, my book is available in both print and e-book format. Both were released at the same time. My publisher took care of creating the e-book so I'm not sure about the details. Since my novel is a Young Adult novel, the e-book is a great way to reach them. The younger generations gravitate toward technology. How are people finding out about your book? Tell us about your marketing and use of social media. I blog at my website at www.jessicatherrien.com. I also use Facebook, Twitter, and GoodReads to get the word out about my book. My virtual launch party and blog tour (hosted on my blog) were very instrumental in acquiring readers. See this week's updated Kids' E-Book Bestseller List for more authors, more books, and more great reading!